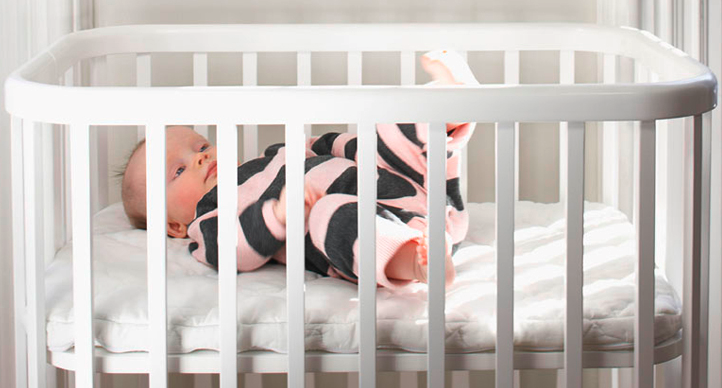 If you’re in the market for a crib, and you haven’t already decided upon the Gulliver at IKEA (great choice, by the way), read on. If you’ve been considering the Stokke Sleepi expandable version, you may find this post very interesting. This past weekend, I had the pleasure of meeting Samantha Delman-Caserta (whom I believe to be the same person who co-founded 3R Living, an eco-friendly and organic home goods (gift) shop, formerly in Park Slope, now in Maplewood, NJ and online). She obviously knows her stuff when it comes to environmentally-friendly and sustainable manufacturing processes. What I like about the Argington line of furnishings and soft goods is that their environmentalism really just makes sense. As a mother, it makes me feel really good to know that the wood they use is not forest-damaging, that their glues, stains and finishes are non-toxic and don’t release chemicals into the air — especially because I know that my son’s mouth is going to be all over this furniture. 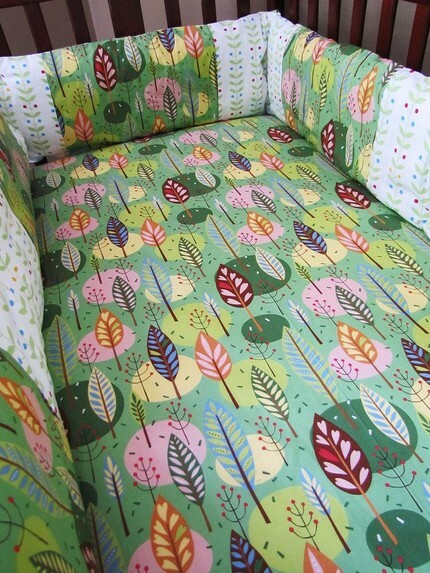 But I wouldn’t be saying all this if their furniture wasn’t so lovely. And I doubly wouldn’t be saying all this if their new Bam line of convertible bassinet/crib/toddler beds wasn’t such a great value. When Fionn was born, we used a cradle, which I loved. Of course, I didn’t need a cradle… the crib would have been fine, or the car seat, even, or a bouncy chair inside the crib (actually, something we used when he was diagnosed with reflux). But newborns are just so tiny, and they look so tiny in that big piece of furniture you bought for them. 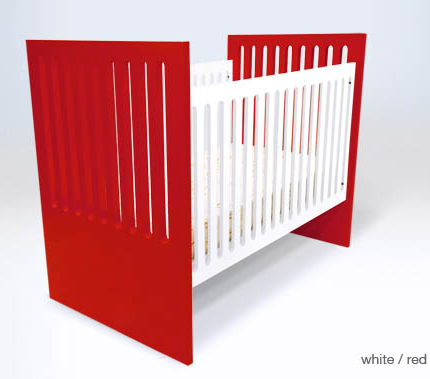 I also love our Baby Mod crib – which will be convertible to a toddler bed. But if you do the math (excluding mattresses), the Bam collection comes out at about the same price, give or take. 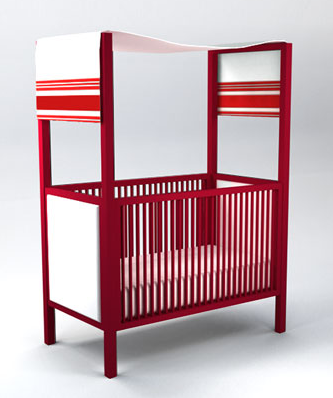 For $585, I can’t see why you wouldn’t get the bassinet with the ability to convert to a crib. (BTW, the bassinet comes with bedding). I know you have to pay extra to then convert it to a toddler bed, but I’m not totally convinced we’re going to have the same furniture when that time comes. It comes in ebony and white (bamboo, which is really cool, costs extra). I almost forgot the best part of Samantha’s sales pitch (remember, we’re in Brooklyn): “It fits through 24″ doorways” (Flashback to me, half-asleep, at 2AM, scraping the walls, manuevering the wheels, trying to get through the bedroom doorway and down the narrow hallway to the front room). Now that’s knowing your customer. Immediately following ‘colorful ceilings’ on my growing list of Things that Never Occurred to Me When Planning My Nursery, now comes another paint-inspired item. As I’ve learned from hours upon hours of HGTV-watching (you’re guilty too. I know you are), it’s important for a newly-designed room to have a focal point, something that attracts your eye and becomes the ‘centerpiece’ of the space. 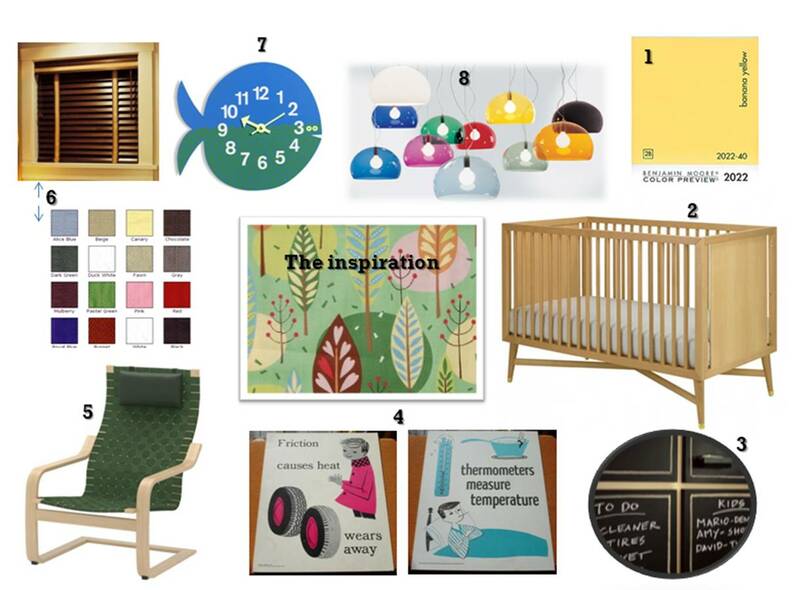 As the thinking goes, if you’re designing a nursery, the obvious focal point would be the crib. 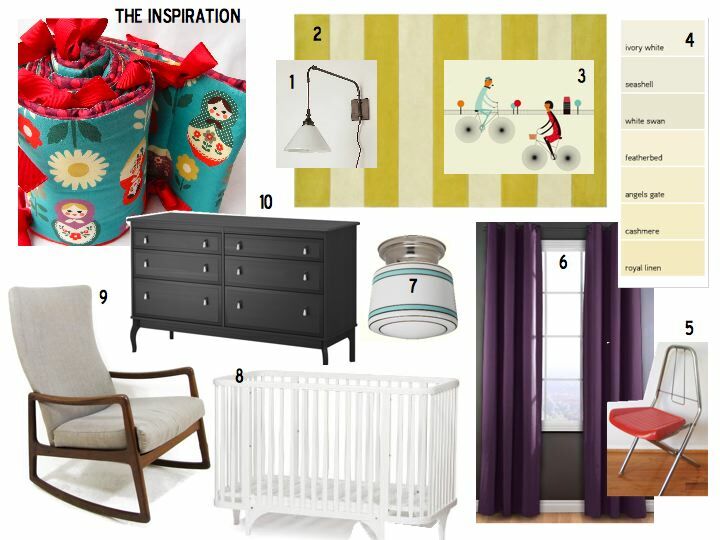 And if your room is pretty plain so far, why not make the crib pop with color? (Before you ask, yes, I have been snowed in with design star David Bromstad and his Color Splash reruns). 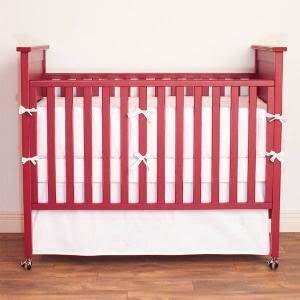 Red cribs are amazing. And for some reason, really expensive. 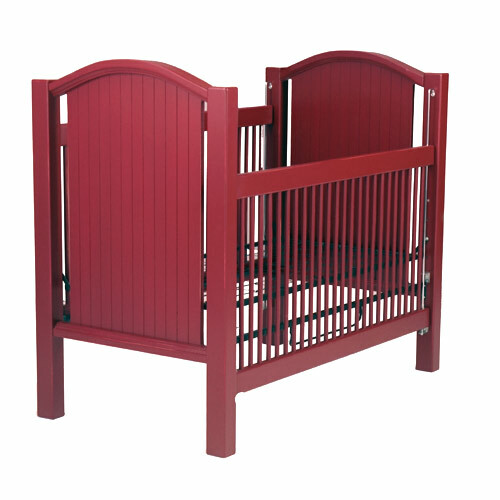 Maybe it’s because of low demand for red cribs, which are often built on demand. Or maybe it’s because red is a darned tough color to paint, as anyone who’s painted a red wall can attest to. But whatever the reason, they’re worth investigating; when it comes to cost, if there’s a will, there’s a way. 1. If a manufacturer makes one model in red, chances are there are other models also available, and in other colors too. 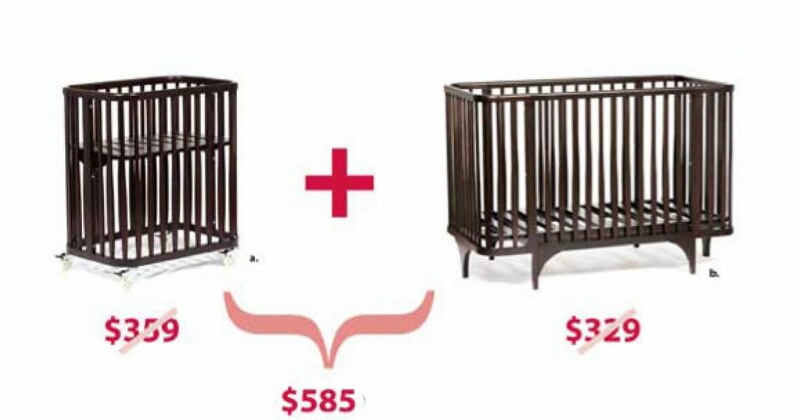 So if you like a crib but the one you’ve seen is too expensive, you may be able to find another model for less (either from the same manufacturer or from a different company, as manufacturers often sell the same crib under different brand names). 2. Find closeout styles. 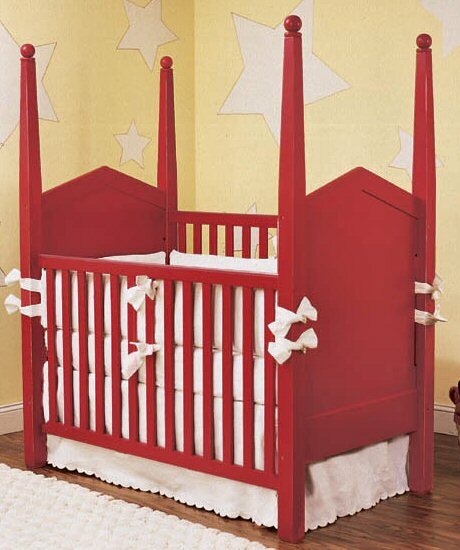 As painted cribs are considered somewhat ‘trendy,’ they’re likely to be discontinued. The Bratt Decor cribs featured above are both are on sale; I think it’s because the company is now concentrating on its wrought-iron offerings. 3. When in doubt, hack it! 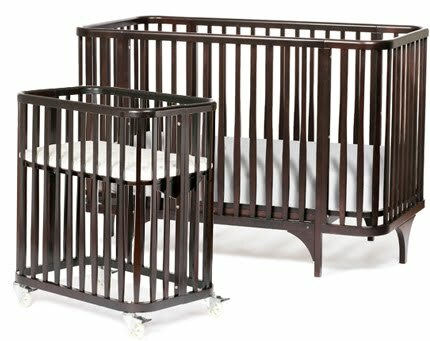 Duc Duc cribs are great – they’re made of 100% hardwood (versus MDF), and coated with water-based, non toxic lacquers. They’re based in New York and make their furniture in Connecticut (see their environmental policy here). If you decide upon one of their cribs, you’ll be making a wise investment, but an investment nonetheless. 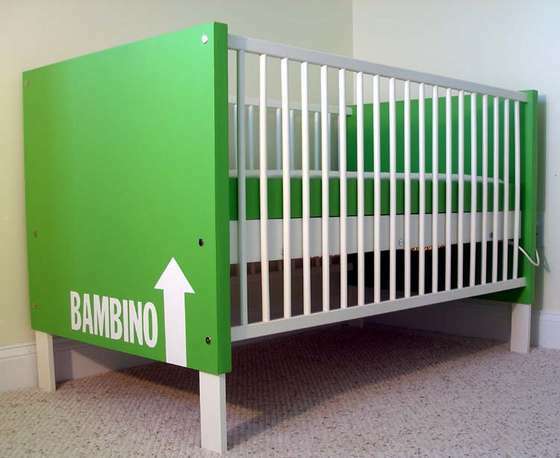 Or, if you’re creative, build an Alex-inspired crib. Hack instructions available on Ohdeedoh. Lastly, tip #4, as beautifully described by Talia, aka Joyous Little Wife, get a can of spray paint and call it a day.